Frenchman Vitalic just unveiled the Deluxe version of his ‘Voyager’ album, which includes four brand new releases. The multi-instrumentalist, who blends electro, techno, and house as well as elements of classical, rock, Italo-disco, and ‘70s electronic music, is also embarking on a US tour next week in support of the new release. With the Deluxe version, you can look forward to hearing new pieces ‘Konk’, ‘Laika’, ‘Cosmic Rain’ and ‘Hunting And Fishing’. 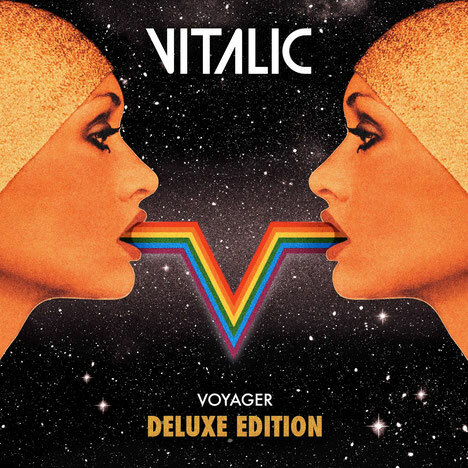 Last year’s original ‘Voyager’ release marked Vitalic’s fourth studio album, and was a tribute to the disco heritage of the 1980s, dominated by deeply energetic synthesisers with influences from pioneers of the genre like Moroder, Cerrone, Patrick Cowley, Lime, Spacer, Carpenter and Gino Soccio. The album perfectly brings together the three elements that have always composed his strength: a touch of experimental folly, melodies and an overabundance of energy. It’s this formula that possibly makes the album the ideal disc to listen to with your feet on the dancefloor and your eyes fixed on the stars. It’s been a good 15 years now since Vitalic took it upon himself to try and redefine techno using his native French sensibility, mixing energy and melody to forge his own style, but his sound has withstood the tests of time. He will take his sound on the road for seven select tour dates across the US kicking off next week.